Children holiday in South Tyrol: Alpine Chalet Niederkofler is the right choice! In the Alpine Chalet Niederkofler we welcome families with children! St. Johann in Ahrn valley is the ideal place for a family holiday in the Alps. You will find numerous offers and ideas that are interesting for children and adults and make fun. To spend children holidays in South Tyrol, you do not even have to leave your accommodation: We have set up a playroom for your children. 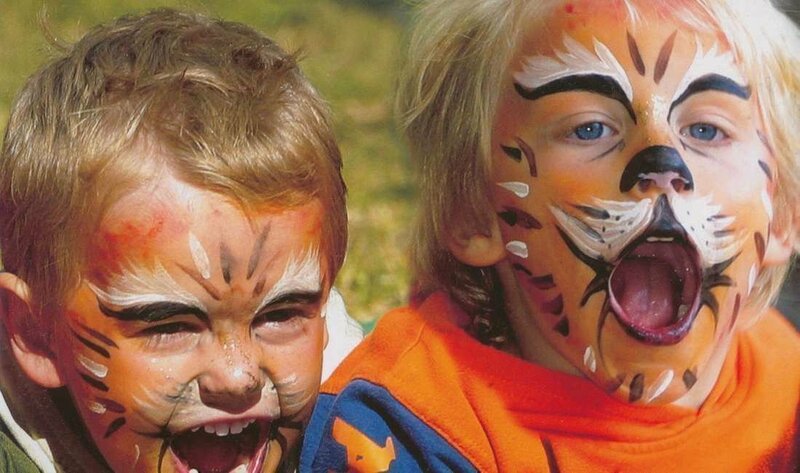 Children holiday in South Tyrol are a great fun with us! In our children’s paradise besides a great climbing wall, where ever the scrambling for the next trip can be practiced, your child will find many more offers. In a reading area, children can make themselves comfortable while on the Lego construction site small architects build great dream homes. Furthermore, the game room with a clip clap table, soft Lego, a target game, a wall game “Connect 4” and many other extra features. A holiday in South Tyrol will surely make great fun to your children! A holiday with children should be designed as much varied as possible so the kids experience a lot and do not get bored. In St. Johann, the surrounding area and in the entire Ahrn valley during your family holiday in the Alps you have numerous opportunities to make the holiday exciting. How about, for example, a visit to the playground of the elementary school St. Johann or the playground in the sports area of St. Martin? Here you can play a game of tennis, while the kids romp on the devices. Another great idea is a trip to Dinoland in Klausberg (about 4 km away from your accommodation). Here your children can marvel ten life-size dinosaurs in this adventure world. Even a Tyrannosaurus Rex is on board! In summer you can pay a visit to the Water World in the ski and hiking area Klausberg. Here your children get in touch with the water element on rafts, bridges, water paddles and in mud pools. Other highlights are the ghost hours at the castle in Sand in Taufers in winter and the adventure program “Bauernlandzwerge” in summer.